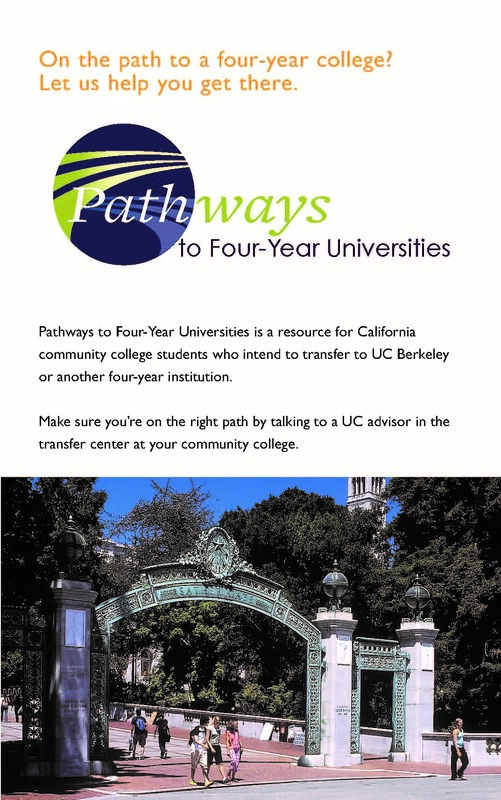 START YOUR COLLEGE EDUCATION AT UC BERKELEY! 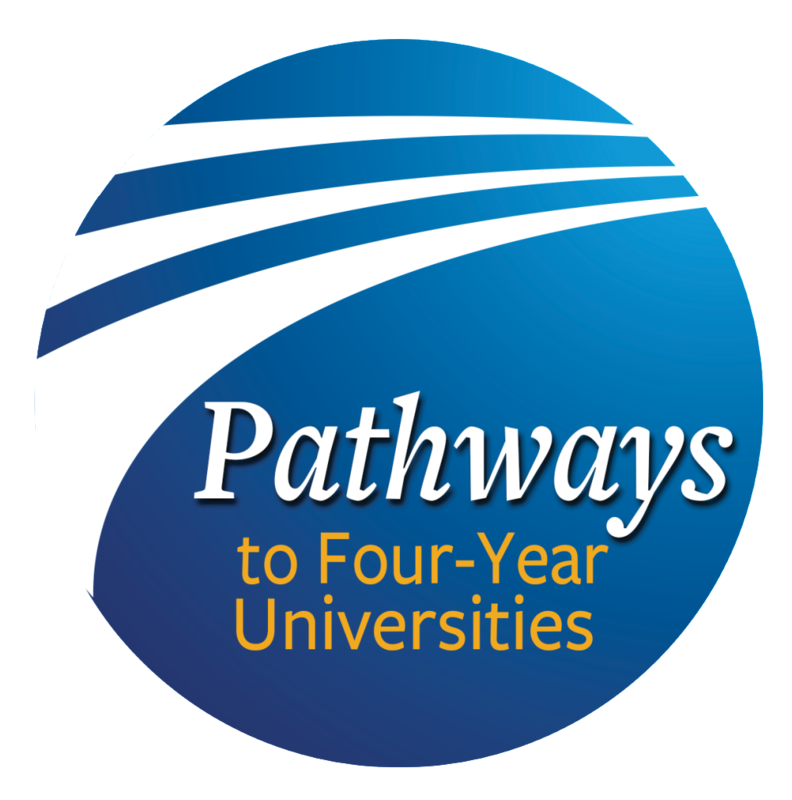 As part of the Pathways to Four-Year Universities (Pathways) program, international students are eligible to enroll in UC Berkeley Summer Sessions classes prior to enrolling at PCCD in order to take key prerequisites, ESL classes, or gateway courses to your major. Courses will be reflected on an official UC Berkeley transcript and may satisfy credit at PCCD or another four-year university or college. 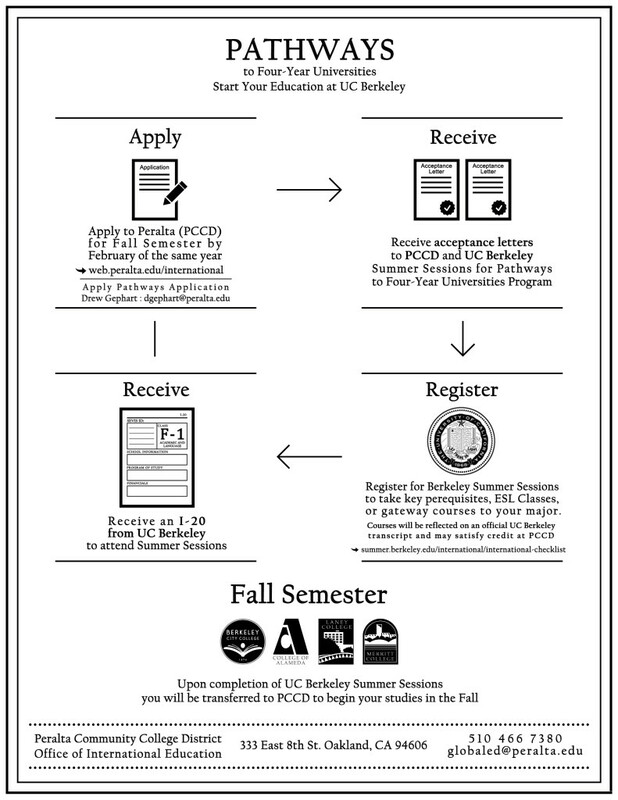 Current PCCD students are eligible to enroll in Summer Sessions with UC Berkeley as well. 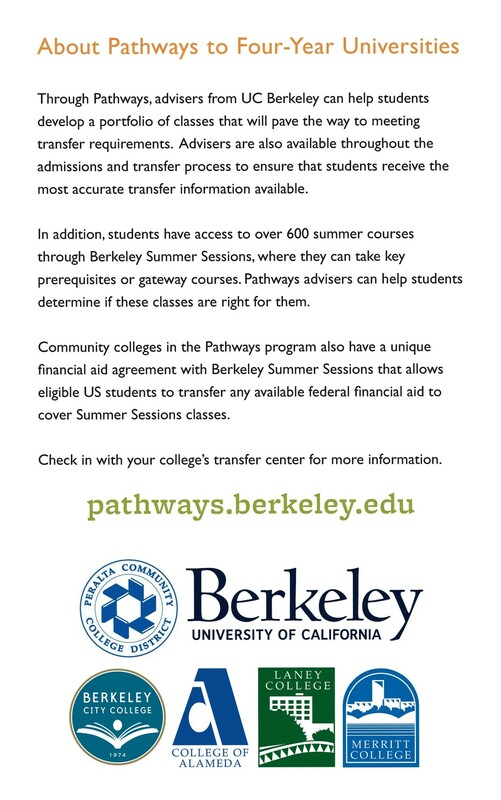 Please notify our office that you would like to attend UC Berkeley Summer Sessions classes prior to enrolling at PCCD by filling out our Pathways Application Form. In order to submit the completed application, you must first SAVE the file to your computer prior to filling it out. Once completed, save the file again and email it to dgephart@peralta.edu. Research the Summer courses you would like to take from the Online Schedule of Classes. Please note the Course Control Number (CCN; 5-digit number associated with each course) for the courses of your choice. Read the sections on Fees, Refund Policy, Deadlines and Academic Policies. Read the information regarding the English Proficiency Requirement. Students who enroll exclusively in the English as a Second Language (ESL) courses are exempt from the English Proficiency Requirement. See the List of ESL Courses. Read the section on Visa Information. Please note that changing your class schedule after your I-20 has been issued may invalidate your I-20. You will not be able to enter the US if the start-date on your I-20 does not match your Summer Session start-date. 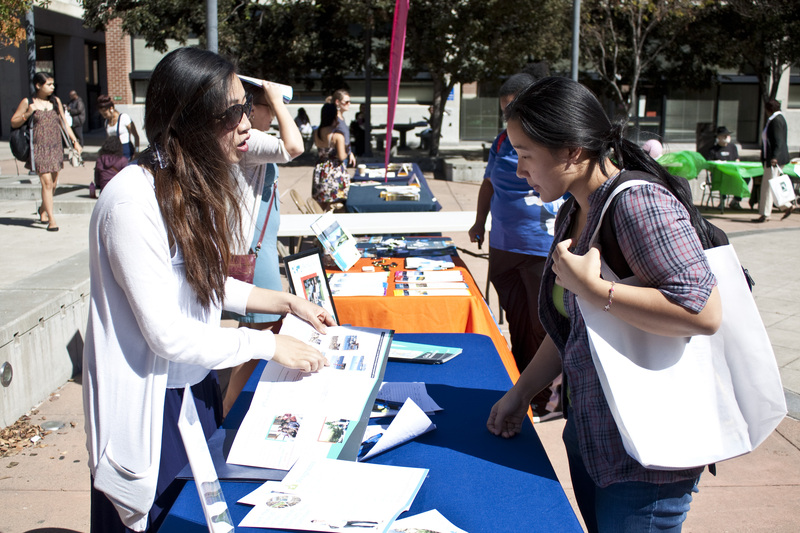 Contact UC Berkeley Summer Sessions before making any changes to your schedule. 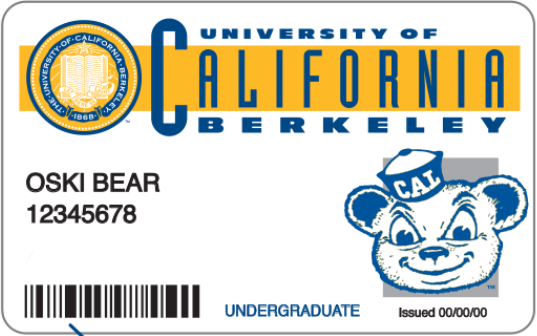 Once you are registered, you will receive your UC Berkeley student ID number (SID) and personal identification number (PIN). This information is emailed to you, password protected, to the email address you provided on your application. Please check your spam folder if you do not receive the email within a week. Log in to MySummer to upload the English proficiency exam score, along with the required documents for a Certificate of Eligibility if you requested it on the application. Make an appointment with a US Embassy or Consulate in your area to apply for an F-1 Visa. Where is your I-20? The I-20 Production Process Chart is a helpful tool to see the entire process and the next steps to take. Make housing arrangements as soon as possible after registration. (Some housing may only be available during the summer. Students should plan on where they will be living once the Fall semester begins at PCCD. Check your most up-to-date class schedule from the Online Schedule of Classes. Confirm the grading option for your courses. Log in to Bear Facts and confirm any outstanding balance or available refund. Visit the Berkeley International Office in order to transfer your I-20 to attend our colleges in Fall 2016! 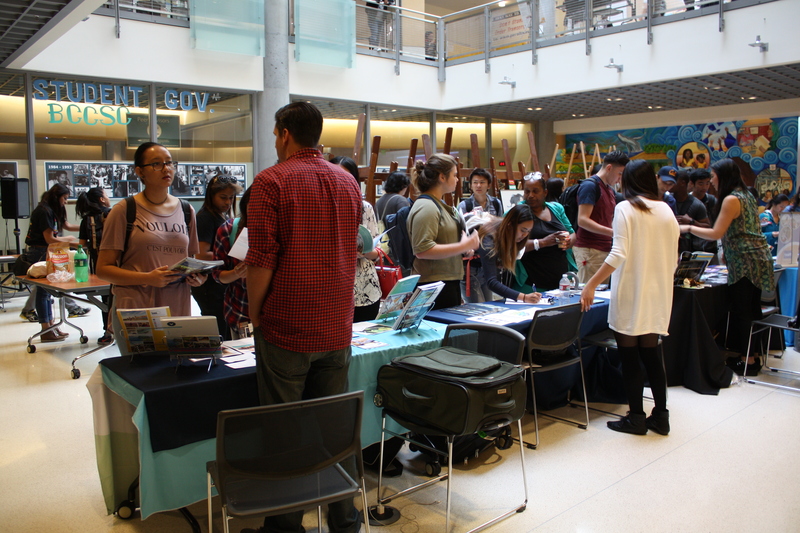 Apply to the Peralta Community College District for the Fall semester by August 1st – Apply Here!